This list is oriented toward older films which have either been neglected or greatly benefit from the new perspective that the Blu-ray edition in question provides. It is admittedly partial–there are many significant Blu-ray editions that I was not able to look at this year for various reasons. The Borowczyk box set is a clear first choice, otherwise the list is not ranked. One of the great virtues of the home video medium is that it gives us the opportunity to systematically explore the work of new and neglected artists. The hugely talented, at times problematic Walerian Borowczyk has often been classified as an “arty pornographer,” in part because he indeed produced and was fascinated by erotica for much of his later career. But he started out as a major figure in animation (who influenced Terry Gilliam, among others) and had an authentic Surrealist eye for bizarre details and objects. 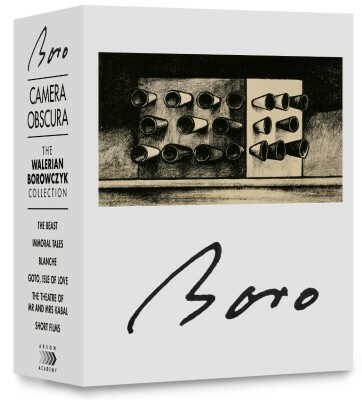 This lovingly produced and curated limited edition box set, already sold out and hard to come by, contains a collection of Borowczyk’s animation and his most important early features up to the still-shocking The Beast. You can still buy all of the films on Blu-ray individually, but you will no longer be able to obtain the astounding collection of Borowczyk’s short stories that came packaged with the set. If you are limited to Region A (North American) Blu-ray playback, at least pick up the collection of shorts and Blanche, which are all-region. Blanche is still one of the richest cinematic visions of the Middle Ages that you will ever find. 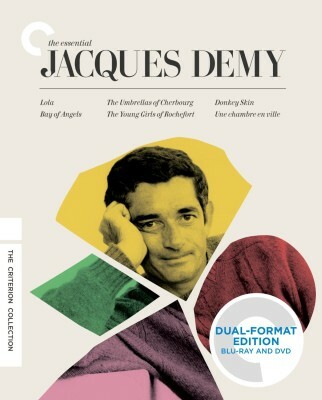 Many people listed the Jacques Tati (Criterion Collection) and Werner Herzog (BFI) Blu-ray box sets as their favorites, but I am casting my vote for the Demy set as #2 after the Borowczyk. Before this I had not seen Demy’s Donkey Skin, and I loved the vibrant colors of the restoration. 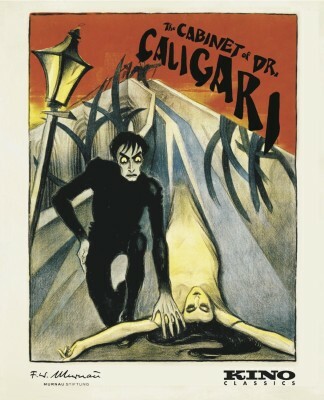 The great revelation of the set for me was Une Chambre en ville, possibly my favorite Demy musical now; it even takes on the dimensions of verismo opera in its tragic handling of a worker’s strike. The only disappointment in the set is the French restoration of Lola, which looks like a smeary mess. Although the film’s camera negative no longer survives and apparently the surviving print materials are compromised, it looks like the restorers went overboard with digital clean-up tools. I think the restoration needs to be done over from scratch. Despite this major limitation, I am including the set on the list because the rest of it is so very good. If Vincent Price and Edgar Allan Poe were alive in 2014, I would have urged them to run off and get married in California. They may have had different personalities, but they complemented each other. This set includes Arrow’s existing Blu-Rays, which are technically superior to the US releases by Shout! Factory. The visual quality of the film elements vary due to the production circumstances of the films, but at their best they really pop. The wonderful hardcover book included with the set contains reprints of the comic book adaptations of three films. The one major gap is Masque of the Red Death, which Shout! 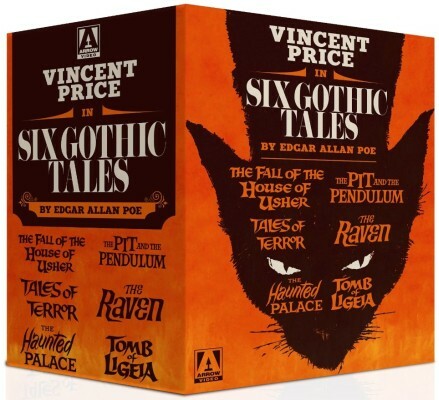 Factory has released in the US as part of their Vincent Price Blu-ray collection. Busby Berkeley, Carmen Miranada and Technicolor are just about more than anyone can handle in a single film. Too many organ grinders and monkeys! My God, those giant bananas! Too many polka dots! The disembodied head of Eugene Pallette! If you think you can watch this film without a babysitter then you are sorely mistaken, and the eye-popping color on this Blu-ray will only make the peak that much more intense. You have been warned. 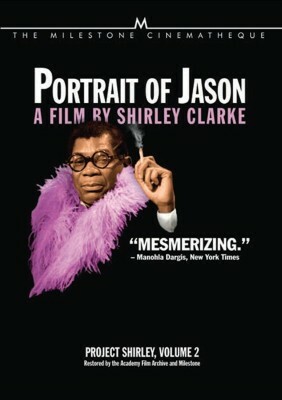 This restoration of Portrait of Jason looks and sounds great, and Shirley Clarke’s documentary is as fascinating, challenging, and relevant as ever. The disc also has a wealth of audio and video supplements. For several years Mondo Vision has been releasing lovingly packaged editions of Andrzej Zulawski’s films, but this Blu-ray raises their work to a new level. This marital psychodrama and horror film still has the capacity to disturb and provoke, and it looks marvelously film-like in this new director-approved master. The new Cineteca di Bologna restoration of Sergio Leone’s epic Western received controversial reviews because of its yellow filtering, based on an original Italian release print. I think the restoration allows us to see the film—literally—in a different light. 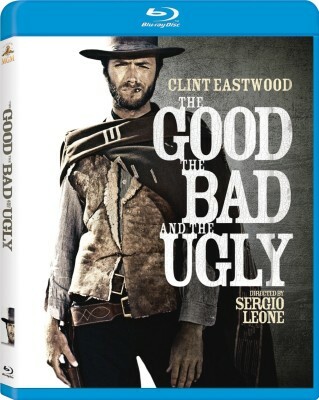 It’s a huge improvement over the first US Blu-ray. 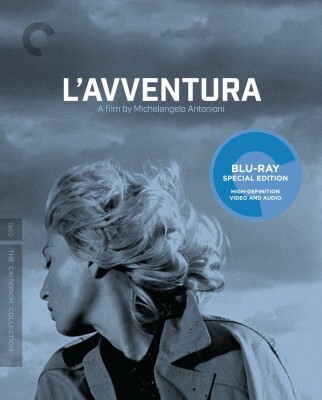 I had a difficult time choosing which Antonioni Blu-ray to select, because they both look excellent. I might give an edge to L’Avventura, if forced to make a choice. More than many directors, Michelangelo Antonioni benefits from the added resolution of Blu-ray, especially viewed on larger screens. (Ideally, you should see his films in the theater and in 35mm if possible.) This is because the added detail and texture add depth to the image and enable you to appreciate his peerless mastery of mise-en-scène—especially how he uses spatial relations to express the characters’ emotional relationships to each other, and to the landscapes they inhabit. How far we have come from the days when I first saw L’Avventura and L’Eclisse on abysmal VHS tapes purchased from a certain mail-order foreign film outlet in Chicago! More ageless, visually brilliant 1960s Italian cinema. 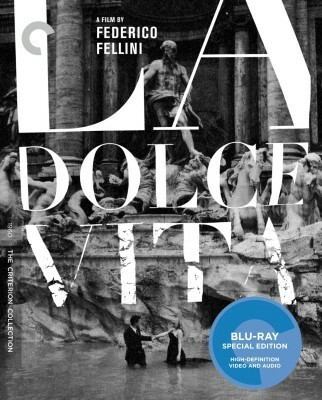 The grayscale is especially good in this new 4K restoration of Fellini’s film. Other reviewers have noted the slight technical superiority of the Region B Masters of Cinema disc compared to the Region A Kino disc, but I have the Kino edition and am perfectly happy with it. Either way, this restoration is a must see. I'm currently the Film Studies and Media Librarian at Emory University in Atlanta. Although my primary passion and expertise is in film, I also love literature, music and other arts. This entry was posted in Film, Reviews. Bookmark the permalink.